Season of bloom: Spring with re-bloom in late summer. Growing Conditions: Sun. Lean, sandy soil. Wildlife benefits: All native violets are host plants for caterpillars of diverse Fritillary butterflies. The violets which grow in sun are especially good for Great Spangled Fritillary. The early flowers are good for many pollinators. From Ottawa Valley or eastern Ontario sources: No. Native to Carolinian Ontario. 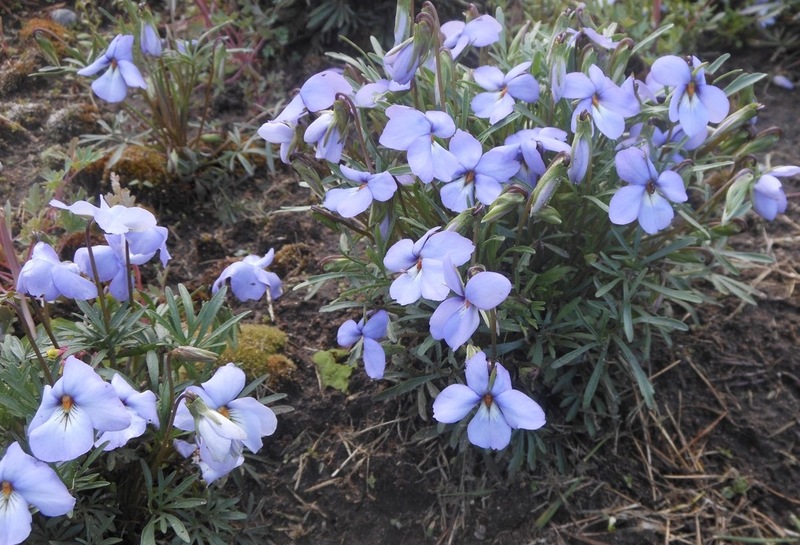 Remarks: Relatively large flowers for a native violet.